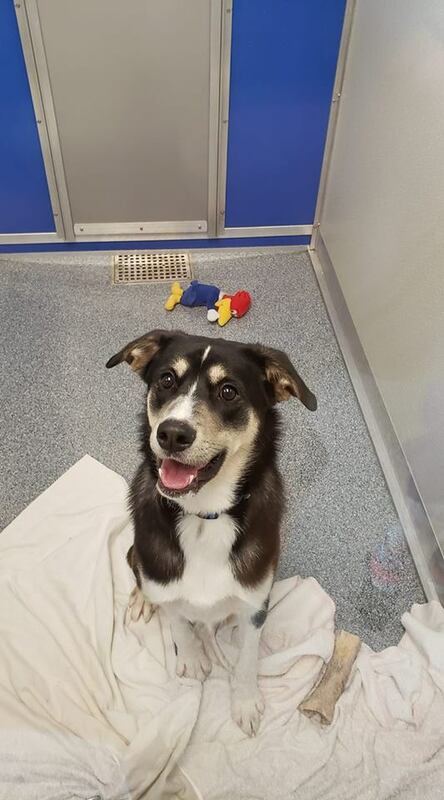 This young neutered male husky/lab/malamute is in search of his forever home. He is a higher energy breed but has been doing well here. Appears to be kennel trained and we let him out frequently and he has no accidents. He gets along with the other shelter dogs and enjoys playing with them. He has not been around cats. He has been around kids and adults and zero issues.